Taylor is a Greenfield residential development located in North Gungahlin, adjacent to Horse Park Drive between Casey, Moncrieff and Jacka. Taylor is located approximately 4kms from Gungahlin Town Centre. How many houses will there be in Taylor? At full development Taylor will accommodate approximately 2,500 dwellings. When will land be released? What size will the blocks be? Taylor will include a range of block types providing for detached homes, townhouses and apartments. How will land be released? Land in Taylor will be released through a combination of auctions, ballots and tenders. How much will the land be sold for? Land prices are set by independent market valuations conducted close to the time of release. Will Land Rent be available? Land Rent is not available for blocks sold by auction. Will there be schools and shops in Taylor? Plans for Taylor include a Government P-6 Primary School, district playing fields and local shops. When will the land be ready? Civil construction works are generally completed within a 12 to 18 month period from when the tender is awarded. Construction in Taylor 1 was completed in early 2018. Construction in Taylor 2 has commenced. Can the road network cope with the increased traffic from Taylor? Yes. A traffic study prepared for the suburb shows that the road network can accommodate the projected traffic from Taylor. Will there be public housing in Taylor? 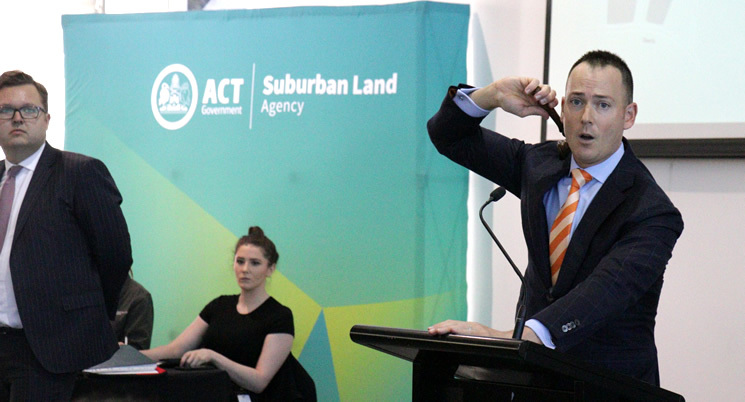 The ACT Government has confirmed that it will be developing public housing in Taylor. The percentage of public housing in Taylor will be approximately six per cent, which is consistent with the ACT Government approach to providing public housing across all of Canberra. What affordable housing options are there in Taylor? A number of options for purchasing affordable homes in Taylor will be made available. To register your interest in an affordable release, please go to the Affordable Home Purchase Register. Has any previous consultation been done for Taylor? Ongoing liaison with key stakeholder groups, including the GCC, will occur as the suburb develops. How do I make sure I don’t miss the public releases?